MP Serhiy Kliuyev has been put on the Ukrainian wanted list and Ukrainian law enforcement agencies have submitted documents for him to be placed on the international wanted list, the Prosecutor General's Office (PGO) has reported. 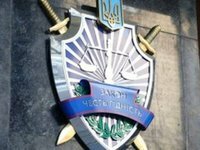 "A wanted noted has been issued, filed documents for Ukrainian search and for announcing international search," head of the Prosecutor General's Office special investigations office Serhiy Horbatiuk told Interfax-Ukraine at a briefing in Kyiv on Thursday. When asked why Kliuyev hasn't been put on the international wanted list thus far, he said: "I can't say now, the documents have been handled." According to him, the search will launch when Interpol backs putting Kliuyev on the wanted list. As reported, on June 9, Kliuyev was placed on the international most wanted list, Ukraine's prosecutor general Viktor Shokin said.